This report provides you with a comprehensive, objective assessment of work behaviour. The Work Personality Index® Select Report describes a candidate’s approach to tasks, way of interacting with people, and performance at work. 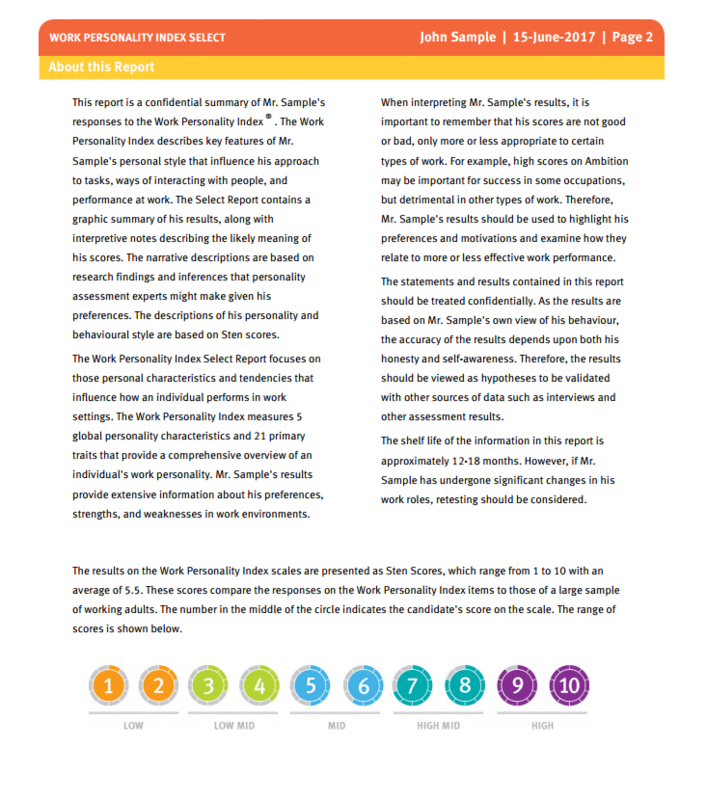 The Select Report is a powerful tool to complement ability testing and structured interviews. The Work Personality Index Select Report will provide valuable behavioural information before your next hiring decision. Key features of candidates’ work style that influence his or her approach to tasks, ways of interacting with people, and performance at work. Graphic summary of candidates’ results plus interpretive notes describing the meaning of his or her scores. Contact us directly for assessment and job analysis pricing at info@psychometrics.com or 1-800-661-5158.